Leitner-Poma acquired Skytrac this week in a deal revealed today. Even more exciting is Skytrac will continue to operate as a subsidiary brand of the Leitner-Poma Group. “We would like to welcome Skytrac to our family,” said Anton Seeber, CEO of the European parent company of both Leitner and Poma. “Like Leitner-Poma, Skytrac also will be managed autonomously and independently to make sure the Skytrac team can focus on its strengths and hone its skills, all while having access to the Group’s resources to be able to benefit from particular synergies.” Leitner and Poma have experience operating in Europe as separate brands while sharing technology such as the latest-generation LPA detachable grip. SkyTrac made a name for itself providing smaller resorts like Pomerelle in Idaho with modern lift systems like this one. Jan Leonard and other former CTEC employees started Skytrac in 2010 to fill a niche retrofitting older lifts and building economical fixed-grip lifts in Salt Lake City. The company has built 19 complete lift systems to date, mostly at small-to-medium sized ski areas from Washington to Massachusetts. Skytrac had its best year in 2014, building as many new lifts as both Leitner-Poma and Doppelmayr that year. In addition to building complete lifts, Skytrac also specializes in outfitting older lifts with new terminals and control systems. Rather than a deal simply to eliminate a competitor, this is about expanding Leitner-Poma’s footprint. 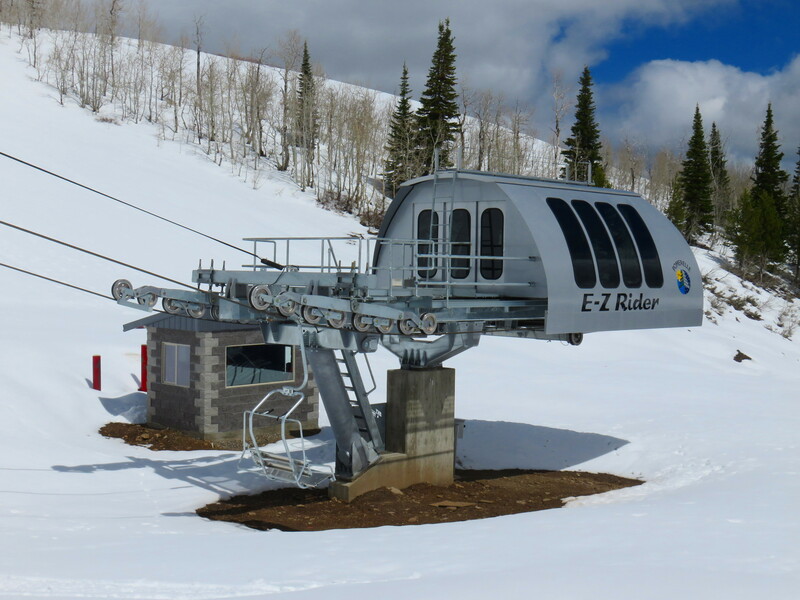 A Utah presence will better serve customers in the second largest lift market in the United States (Skytrac has already built more lifts in the state of Utah than Poma did in the last 30 years.) Skytrac is building the new quad chair at Laurel Mountain, Pennsylvania this summer and Skytrac lifts will continue to be 100-percent American made. Update 5/9/16: I interviewed Carl Skylling at Skytrac HQ and asked about the acquisition. Check it out here. Does this mean that SkyTrac will get detachables under their name? Does it also mean they keep the beautiful terminals but use Poma chairs XD? The whole reason Leitner-Poma bought Skytrac was to keep their and Doppelmayr’s monopoly over high speed lifts in America. Just an opinion but considering the two brands history with other lift manufacturers it makes sense. That would be a duopoly, much like Boeing and Airbus have building large commercial jets. Two fierce global competitors in a highly specialized business. I find it odd that LP bought Skytrac. Doppelmayr’s tower crossarms look so similar to Skytrac’s. Product difference was one of the reasons, market share another. Similar to why Airbus just bought a majority stake in Bombardier’s new airplane.